This is an “oldie but a goodie” and I hope you like it PLUS it’s just in time for Valentines Day crafting. Now is it a bag or is it an envelope? First it was an envelope. I get my envelopes in bundles from the local variety store. They are the extra “leftover” envelopes that remain after all the cards are sold. I’m not sure why there are “leftovers”, but they’re always there and the assorted colours sell for about $2 per bundle. I’ve heard tell of thrifty crafters approaching various card stores and offering to take these off their hands because really – they can just say no – no harm no foul. Another option if you are especially crafty is to use a used envelope. An expert crafter would find a way to incorporate the address label and postmark into the decorating of the bag! Supplies required to create a "Bag-a-lope"
– The 1″ is more of a guide and will vary according to how deep you want your bag and the size of your original envelope. The key here is that each score mark must be equal in width or it won’t work. *I find it easier if I’m using stamps etc. to decorate the bag before I stick down the flaps. And there you have it – a BAG-A-LOPE is born! Using the ink blender tool with foam pad, rub Worn Lipstick onto your Grungeboard. Do the same with the Fired Brick to add a contrasting colour. Do this on the letters and on the cupid. In a Mini Mister, mix 4-5 drops alcohol ink or distress re-inker with a smidge of Pearl Ex or Perfect Pearls. Fill the rest of the container with water and shake well. Spray the mixture onto the craft mat (this is a non-porous surface and nothing will stick to it!) and press your Grungeboard into the mixture. Dry the ink on the Grungeboard, using the heat gun. Repeat this step until you have all of the letters and cupid covered. The more you do it; you will find that the ink will sparkle more and little water spots may show up. This will add to the end result. Next, take your script stamp and ink it with the black ink. Stamp your letters and the cupid. Using your Cuttlebug, emboss the red paper with the Hearts and the white paper with the Swiss Dots. I added foam tape to layer the white paper and then used the Glue Dots to attach the Grungeboard. The baubles or dew drops can be added with Glossy Accents. This technique can be used on Chipboard, too!!! The possibilities are endless! Have fun! Time for a Sketch Contest!! Here ye here ye! The sketch contest is back! The winner will have her work posted for all to admire and will provide an interpretation of a sketch for an upcoming Blog Sketch Contest. 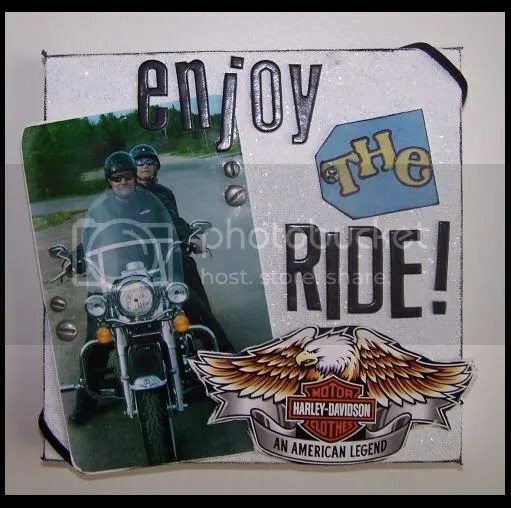 It’s great exposure for talented scrapbook artists! Follow these rules/directions : Upload your interpretations in the contest Gallery by January 31, midnight MST (The SBCH Gallery is here: http://www.scrapbookersclubhouse.com/gallery/thumbnails.php?album=323) … Sketch interpretation entries for the SBCH Blog Sketch Contest are due by January 31, midnight MST. Interpretation created by our previous sketch contest Winner: Deanne Burton! Happy New Year: “2009” to all you talented scrappy artists! We have lots of fun contests and RAKs to be entered and won over at Scrapbooker’s Club House! One RAK ends at midnight TONIGHT, so be sure to check the links and read all about them carefully, then go enter every single one! Remember if you’re new to the Club House, you’ll be made welcome- we are the friendliest scrappin’ site on the ‘net, so pop on by! You’ll be more than impressed with the ideas, caring, creativity and friendship on the SBCH Forum. We pride ourselves on extending the welcoming hand of friendship to ALL. On to our January Contests and RAKs! There’s still time to enter the Scrapbooker’s Club House Contest for the February Guest Designer position. The winner will receive a SBCH Kit to design with, will post a challenge on the Forum and work along with the Design Team for the month of February! Check out the rules and then be sure to enter: SBCH is an awesome site to design for! You have until midnight MST January 25th to submit your work. This month, be on the lookout for a Sketch contest on the SBCH Blog. You’ll have a chance to interpret a layout sketch by Trina Carbert, our SBCH Design Team Coordinator. Shhhh, here’s a secret: this contest will be posted on January 21 so be SURE to check the Blog that day! The winner will have her work posted for all to admire on the SBCH Blog and will provide an interpretation of a sketch for an upcoming Blog Sketch Contest. It’s great exposure for talented scrapbook artists! Follow the rules/directions on the Blog, coming on Wednesday January 21 and enter your interpretation in the contest… Mark your calendar for this one! We have a tonne of RAK Fun on the SBCH Forum this month!! Win a $5.00 gift certificate to the well-stocked Scrapbooker’s Club House Store by participating in a scrappy-area “hotspot clean-up” and sorting! Many of the gals have found a ton of inspiration when they tidied a hotspot and it got them scrappin’ BIGTIME! [LOL] Every hotspot tidying activity earns you a RAK ballot! The reporting of the activities is on the honour system; just come on over & let us know what you did. Go for it!! Check the link right here for the details and be sure to enter by midnight MST January 17th for a chance to win a Gift Certificate! Submit a layout for Design Team Member Joann’s January Colour Challenge: it’s one that’s going to pull you out of your colour “box” and net you a chance to win a RAK! Come on over and enter by submitting a layout. That’ll earn you a ballot for Joann’s RAK draw. You have until midnight MST January 31 to enter! There you have it: A whole bunch of chances to WIN at Scrapbooker’s Club House! Come on over and join us for a fun and creative month. You will be thrilled that you did when you discover all there is to enjoy at the Club House : Contests, RAKs, free classes, challenges, new friends, up-to-the-minute Kits, a Gallery full of inspiration and a fully stocked store with service that goes the extra mile. Challenges, Contests, Scrapbooker's Club House News! Slick Writers are a marker with a permanent ink that work on a variety of materials that are often difficult to write on (such as metal, vellum, stickers). They are acid free and permanent on porous surfaces. These amazing pens dry quickly and permanently on glossy surfaces. With virtually no smearing or drying time involved, they are an absolute treat to use! No special instructions are needed. If you can write with a pencil, you can use a Slick Writer! 1. Print an image (such as a flourish or doodle) onto regular printer paper. 2. Place a transparency or acetate sheet over top. 3. Trace over the image with the Slick Writer. 4. Cut out and adhere (using a clear adhesive such as Scrappy Glue) to your creation. Tip: Slick Writers work great for journaling on photos! That’s a lot easier than using a photo editing program, now isn’t it? You will be sure to be reaching for your Slick Writer regularly since you can write on almost anything with it. Share with us your creations at the Scrapbooker’s Club House Gallery! February 2009 Guest Designer Contest! February 2009 Guest Design Team Member Contest at Scrapbooker’s Club House!! Here’s your chance to share your creativity and inspiration with our members & spend a month as a member of our talented Design Team! Your contest challenge is to show us a snowy good time with a winter-themed layout. It must include at least 3 photos. To those who have no snow in winter, feel free to do your winter-themed layout including, for example, things you do in the winter, or tell & show us what your winter season is like. It might be refreshing for those of us who only get snow! Our lucky lady’s Design Team term will run from February 1 – 28th, 2009. She will post a challenge, questions of the day and Kudos for our members once weekly in Feb. She’ll also be able to include her SBCH DT term on her scrappy resume! Deadline for entries: Sunday, January 25th, midnight MST. 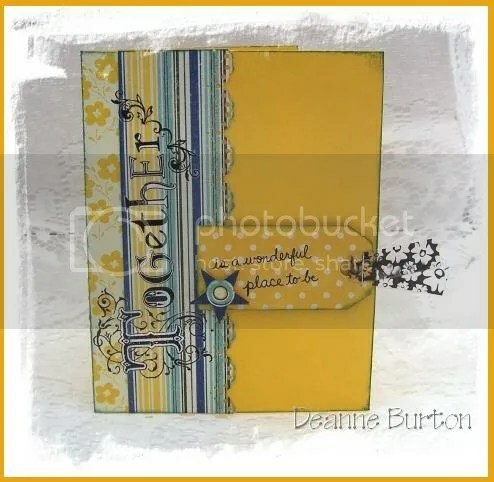 Contests, Scrapbooker's Club House News!